This is a compelling and engaging slot machine that offers ample opportunities to win impressive prizes. With a visually-stunning backdrop and an interesting narrative, this online casino game transforms traditional features of fruit machines for a modern audience. 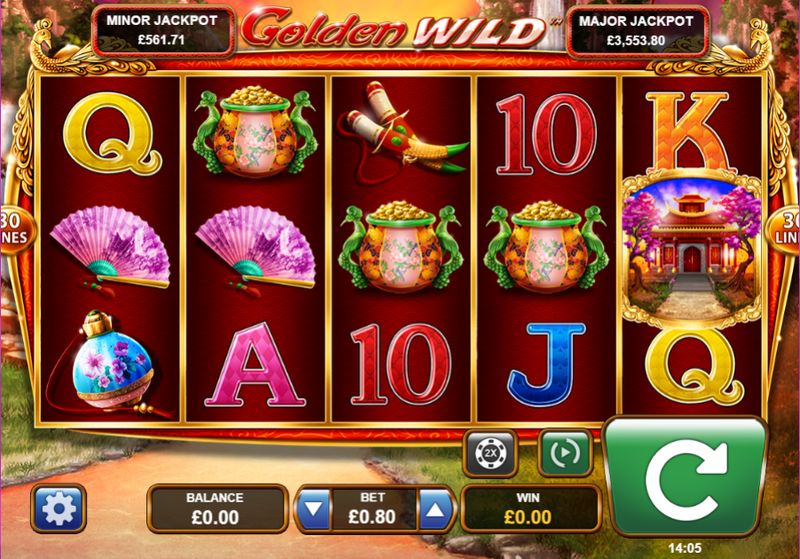 Whilst maintaining the key enjoyable aspects of casino games that we all know and love, Golden Wild offers the player the opportunity to step into a new world and experience the beauty of the Oriental backstory right here at Easy Slots. The developers are currently working on a new title, 777 Wild Vegas. Venture to the East with this visually-stunning online slot game by Leander. Step out into a breath-taking garden lined by beautiful cherry blossom trees, watch the flow of a magnificent waterfall and relax by an impressive pagoda building. The game opens with a majestic and beautiful young woman dressed in traditional Oriental clothing, who leads us into the fascinating game world. A luxurious gold and red border frames the wonderous symbols on the reels. Feast your eyes upon mysterious artefacts including intricate fans, jade ornaments, and knives. There are numerous ways to achieve exciting bonuses in this contemporary online slot game through landing matching symbols, finding the wild, and chancing upon the scatter icon. In this game, the wild is instantly recognisable as an ornate golden drum. The scatter is represented by a beautiful temple. This online casino game offers a range of different in-play opportunities, such as the free games feature and gamble feature, adding yet another layer of depth to the gameplay. Play no deposit slots right here at Easy. In Golden Wild, we find not only a highly usable and concise fruit machine game, but a visually-appealing backdrop and an engaging narrative, as we have come to expect with all games by renowned developer, Leander. This new game has the clear markings of a success, with multiple opportunities to achieve rewards and bonuses, engaging (yet discreet) sound effects, and a captivating theme. 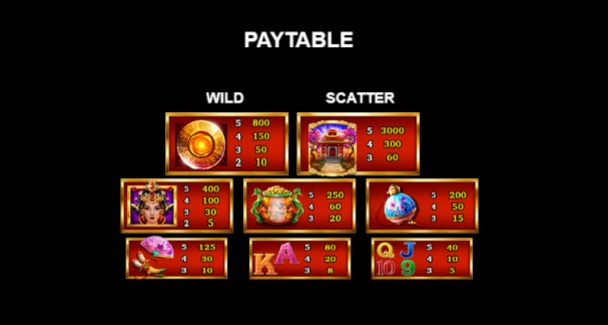 Click here to play online slots.